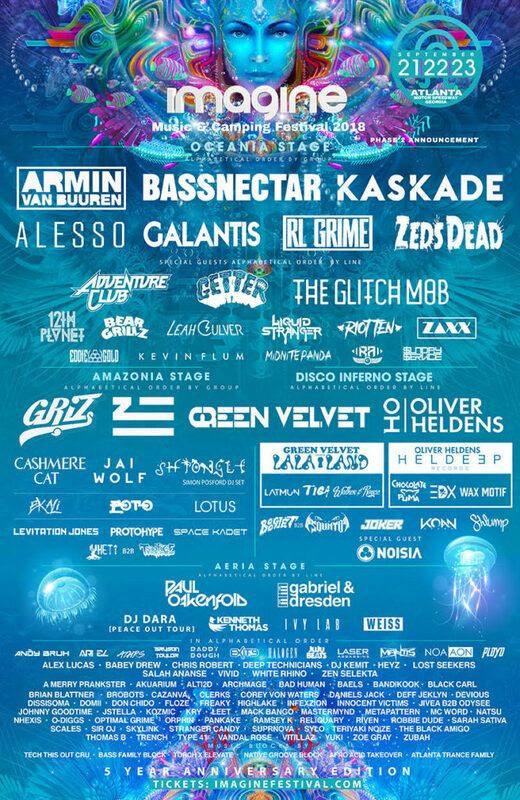 Atlanta, GA (June 12, 2018) – Dropping a first phase lineup that set the festival world abuzz, the 5th Anniversary edition of Imagine Music Festival has released the full roster of performers for its 2018 event, which returns to Atlanta Motor Speedway in Atlanta, Georgia on September 21st through 23rd. 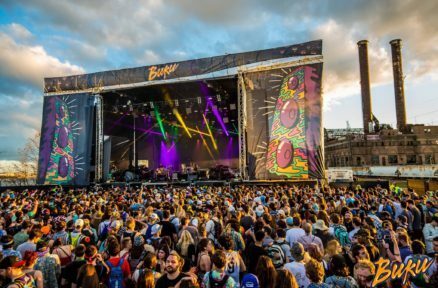 Once viewed as a burgeoning new festival filling a void in the Southeast, Imagine Music Festival has positioned itself as one of the nation’s most anticipated electronic dance music events, as well as one of the last remaining of the independent festivals. Joining previously announced headliners: Armin Van Buuren; Alesso; Galantis; RL Grime; and Zeds Dead will be Bassnectar and Kaskade. And, special guests The Glitch Mob and Getter will be joining Adventure Club on the Oceania Stage.